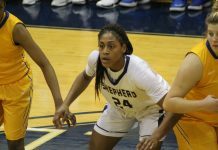 Shepherd University Women’s Basketball took a hard, last second loss on Thursday in the Butcher Center to the University of Charleston. Adding this unfortunate loss to the scorebook, Shepherd drops to a 5-20 record overall and 4-15 in the Mountain East Conference. When the first half came to an end, the Rams headed into the locker room with their heads held high and a 28-26 lead. Charleston came out of halftime with their game faces on and dominated the third quarter, outscoring the Rams 29-19. 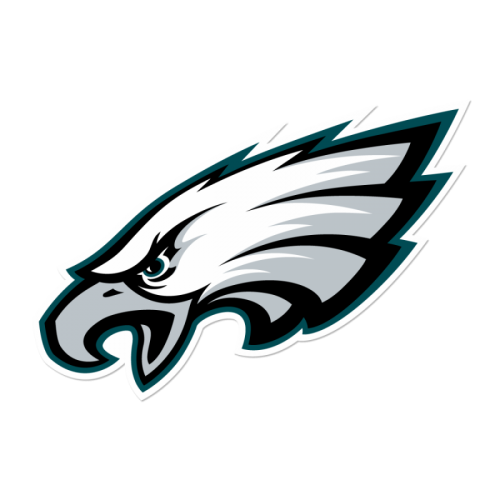 Going into the fourth quarter, the fans didn’t seem to have much hope. With 2:23 left in the fourth the Rams rallied back to within two, 65-67. All fans were on the edges of their seats for the time remaining. 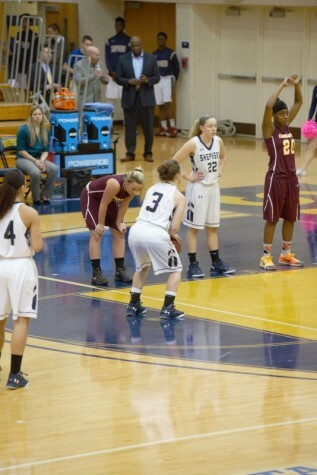 Kristen Nunn made one of her two foul shots to make the score 66-67. With 1:34 left, the Golden Eagles lead 70-68. 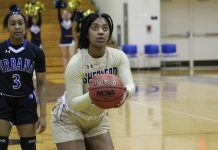 A missed layup by Morgan Arden with 40 seconds gave Charleston the ball, and then back to Shepherd for Arden to make it 69-70 with a free throw. A missed layup by Shepherd in the last seconds sealed the win for Charleston at 70-69. 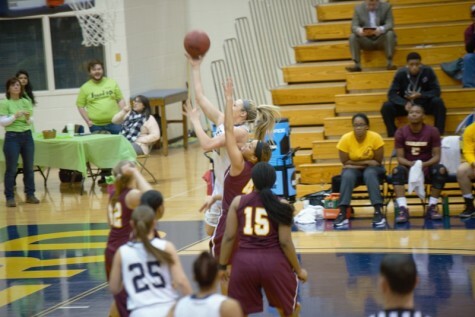 Junior guard Cara Mason scored a game-high 21 points to pace the Rams. 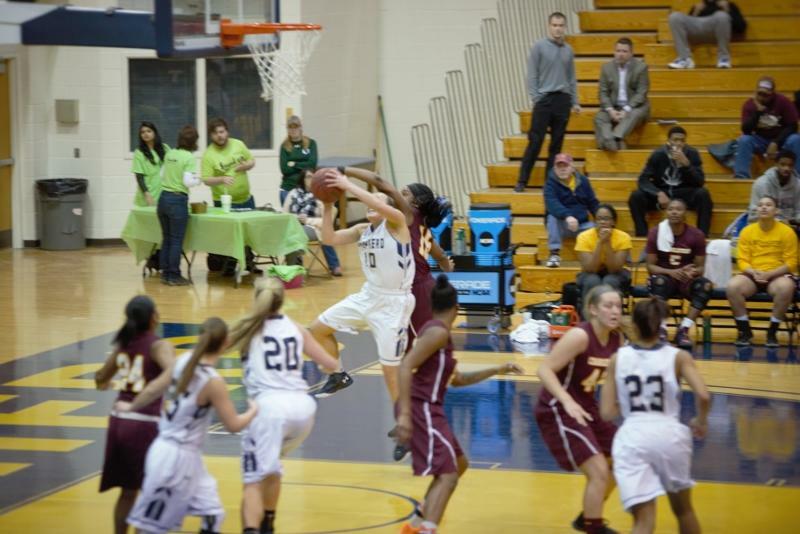 She hit on 5-of-12 field goals with a perfect 11-of-11 effort from the foul line. Arden added 15 points, while junior forward Liz Myers recorded her eighth double-double of the year, with 13 points and 11 rebounds and had a game-high five steals. Nunn added 11 points for the Rams. 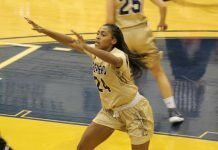 The Rams connected on 42 percent from the floor, with an 11 percent performance from three-point range and hit on 79 percent of their free throws. Charleston hit on 44 percent of their field goals with a 29 percent effort from beyond the arc and drained 71 percent of their free throws. The Rams return to the court when they host West Virginia State on Saturday at 2 p.m. Previous articleHave You Helped Look For NSSE? Tibbs breaks three point record as the Rams beat Wheeling Jesuit 79-65.